Do you love easy peasy recipes? I know on busy weeknights they can be a real lifesaver. 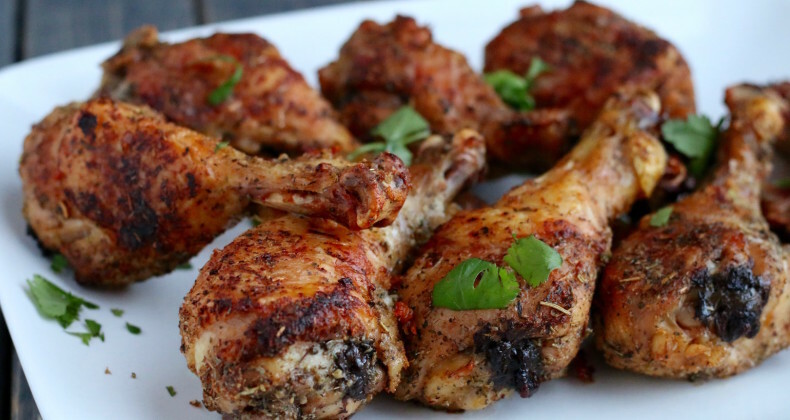 These Italian Chicken Legs require no marinating, no fancy equipment, and are a hit with the whole family. Big time winner in my book. They are also gluten free, grain free, dairy free which makes them Whole30 compliant. Yay! You may notice there has been a chicken theme around these parts lately. First I shared Roasted Chicken then Crispy Baked Wings, well today, the chicken leg is getting all the glory. Whether you serve these for dinner or add them to your game day food line up (which you should totally do) everyone is going to love them. My one year old even ate two legs! Nothing is worse than a soggy chicken leg. If you follow my directions you won’t have to worry about that. Grab a couple paper towels and make sure you dry off the legs. Removing excess moisture will help to render the fat in the skin and make it incredibly crispy. Adding all the ingredients to a ziplock bag lets you “massage” the herbs and spices into the legs without getting your hands all grimy. Grimy chicken hands are the worst. This is my version of Shake & Bake. You can even get your kiddos to do the “massaging” if they like to help in the kitchen. Roasting them on a high temperature and turning at the halfway point helps keep them crispy. Serve alongside a big salad or a simple pasta and you’ll have a delicious dinner with very little effort. It’s great to have none picky people like you. I don’t mind eating the white meat but the dark meat is my fave. I love the bag trick. Chicken hands are so gross!! These look great. So simple but gorgeous. The grossest -hehe. Thanks for stopping by Tracy! 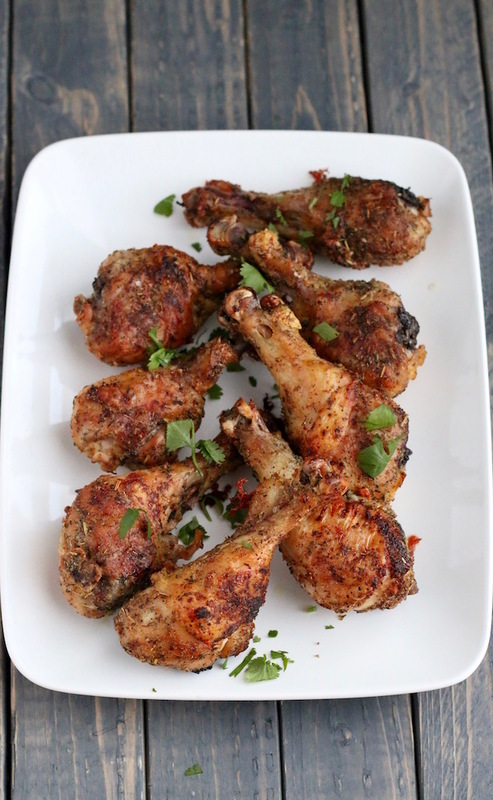 Looks like great flavors go into these chicken legs — how great to have an easy main dish that’s easy to make! Thanks for sharing! These look great! I don’t eat meat anymore but I am totally saving this recipe to make chicken for my husband sometime. I’m sure they’d be a total hit. This sounds simple and delicious. I happen to love chicken legs. Chicken drumsticks are my favorite. Partly because their delicious, partly because they seem to go on sale a lot! I love that these don’t need to marinate! A great weeknight meal. Delicious! Wish they were on my table! I’m definitely a dark meat kinda girl!!! These chicken legs look amazing. I was looking for a simple drumstick recipe and this one scores! Thanks. Hubs will love it. Oh, those sound like great additions! Yum! Hi, This is a simple recipe for sure! The chicken did taste okay, I thought something was missing. What other herb or spice can I use? Also, what rack should I use? I used the second from bottom, turned the chicken after the first 20 minutes, and my chicken did not look like the picture.